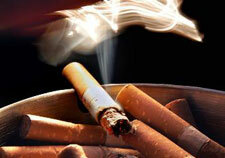 The problem of drifting tobacco smoke is an issue faced by many common interest developments, especially condominiums. In response to complaints received by their membership, Community Associations (“Associations”) often wonder what their rights and obligations are under both their governing documents and California law to prevent these situations and to protect residents from unwanted tobacco smoke exposure. This blog post discusses these rights and obligations, while providing some guidance to Associations dealing with smoke migration issues. We have also published a resource on this issue entitled “Drifting Tobacco Smoke in the Condominium Environment” that is available for download from our library. It is uncommon for Associations to have smoking prohibitions in their governing documents. However, many governing documents contain a “nuisance” provision that includes a prohibition against noxious or offensive activities and against any activity that would interfere with the quiet enjoyment of neighboring homeowners and residents. Associations may have an obligation to enforce a nuisance provision against a homeowner who is emitting tobacco smoke that is so noxious and offensive that it is interfering with the use and enjoyment of several neighboring residences. In situations where only one homeowner is complaining about drifting tobacco smoke, it may be a matter for the homeowners to work out between themselves. The Federal Fair Housing Act (“FHA”) and the California Fair Employment and Housing Act (“FEHA”) consider an individual disabled or handicapped if it is established that they have a hypersensitivity to tobacco smoke. If a resident is “handicapped”, the FHA requires landlords and condominium associations to make reasonable accommodations in rules, practices, policies and services that provide an equal opportunity for the individual to use and enjoy his residence. (24 C.F. R. section 100.204.) Unless the association has been provided with verification of a disability or handicap due to a hypersensitivity to tobacco smoke, and not just an interference with the enjoyment of a residence due to tobacco smoke migrating up another unit, the Association is not under a duty to make any accommodations for the affected residents. On the other hand, if the association has even one employee on its payroll, it must comply with California Labor Code section 6404 which prohibits smoking in the workplace. The “workplace” is defined broadly as areas that are “places of employment” including the indoor common areas, hallways, stairwells, laundry rooms and recreation rooms of condominium complexes. “Places of employment” are defined broadly as any place where employment is carried on, which would include condominium associations that employ an onsite property manager, a security guard, or a maintenance worker who works on the property at any time. The legislature suggests that condominium associations that are places of employment adopt policies restricting where residents smoke, including indoor and outdoor common areas and individual units, to protect employees from tobacco smoke. In the 2009 case entitled Birke v. Oakwood Worldwide, 169 Cal.App. 4th 1540, the California Court of Appeal held that a landlord, Oakwood Apartments, could be held liable for creating a public nuisance after the family of a young girl with asthma sued Oakwood on the grounds of nuisance and violations of the American with Disabilities Act (“ADA”) because Oakwood allowed smoking in outdoor common areas. This case involved a disabled or handicapped individual who requested that reasonable accommodations be made by the landlord, which the landlord refused to make. This case is persuasive where a disability or handicap exists due to exposure to tobacco smoke, but where this is not the case, the Association has no obligation to make accommodations for affected residents. With regard to cases involving associations, the California courts have yet to publish any decisions levying specific duties on Associations where a condominium resident is complaining about drifting tobacco smoke. There are two decisions involving condominium owners suing their neighbors for harm caused by drifting tobacco smoke, and in both cases the court ruled against the neighbors emitting the smoke. However, because neither case is a “published” decision, they cannot be used as legal precedence to support future lawsuits, but they do shed light on how California courts are ruling on tobacco smoke complaints between neighbors. Some homeowners are requesting that their Associations consider investing in or subsidizing the cost of making improvements and installing equipment that might reduce the migration of smoke into their residence. Several methods that have been tried in an effort to eliminate drifting smoke including sealing penetrations in walls, ceilings and floors between condominium units and installing HEPA air filters. Unfortunately, these types of smoke abatement measures have not proven to be effective and, as a result, these approaches do not bring about results that justify their costs. In an article published by the Technical Assistance Legal Center on Public Health Law & Policy entitled “Legal Options for Tenants Suffering from Drifting Tobacco Smoke” it was stated that sealing gaps and cracks and installing fans or air purifiers rarely solves the problem of migrating tobacco smoke, because these measures only reduce air flow between the dwellings by about three percent (3%). The article added that a U.S. Surgeon General’s report stated that filters only remove large particles, not the minute particles and toxic gases in secondhand tobacco smoke. Based on these findings, it does not appear to be a good use of Association funds to attempt to seal off a condominium unit or to install air filter equipment to abate tobacco smoke migrating from one unit to another. In seeking to resolve issues of drifting tobacco smoke, Associations are generally limited to the enforcement authority contained in their governing documents. Absent special cases of disability or hypersensitivity, Associations may be limited to enforcing nuisance provisions where possible. Individuals that are hypersensitive to toxins in tobacco smoke may be considered “disabled” or “handicapped” under Federal Law. These individuals are eligible to request reasonable accommodations be made by their Association to prevent exposure to tobacco smoke from other condominium units. Since little improvement is achieved by sealing penetrations between the units or installing air filters, Associations may need to adopt rules prohibiting smoking in the units of the building and the surrounding common areas. Where no disability exits and the complaints are isolated to one or two homeowners, the issue may be best treated as a dispute between neighboring homeowners to be worked out between themselves. In such situations, homeowners can utilize local alternative dispute resolution methods provided for in their Association’s governing documents or the California Civil Code. Content by Terri A. Morris, Esq. To read our new resource, entitled “Drifting Smoke in the Condominium Environment”, click here.